Famously known as the former home of Josephine Baker, Les Milandes is a Renaissance château, which benefits from a wonderful view over the Dordogne Valley. 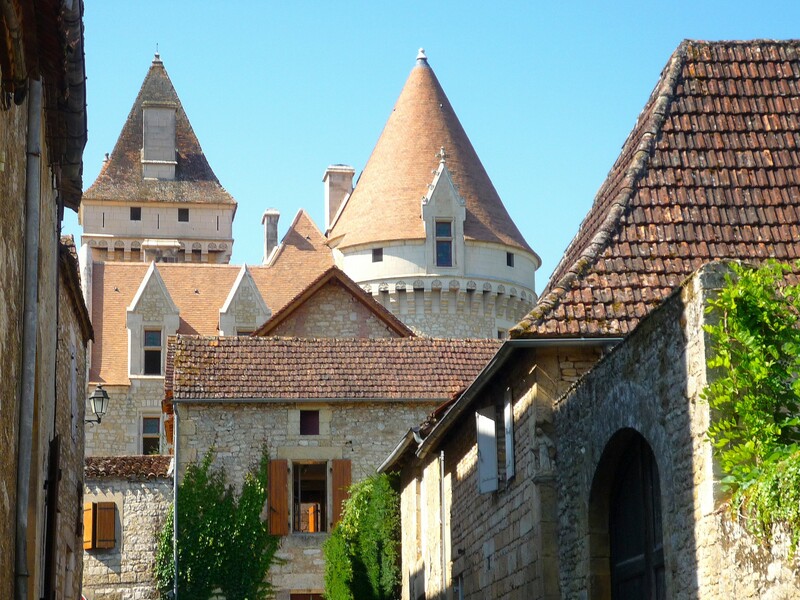 The castle is located on the left bank of the Dordogne River, on the commune of Castelnaud-la-Chapelle, a little further to the West than Beynac-et-Cazenac. 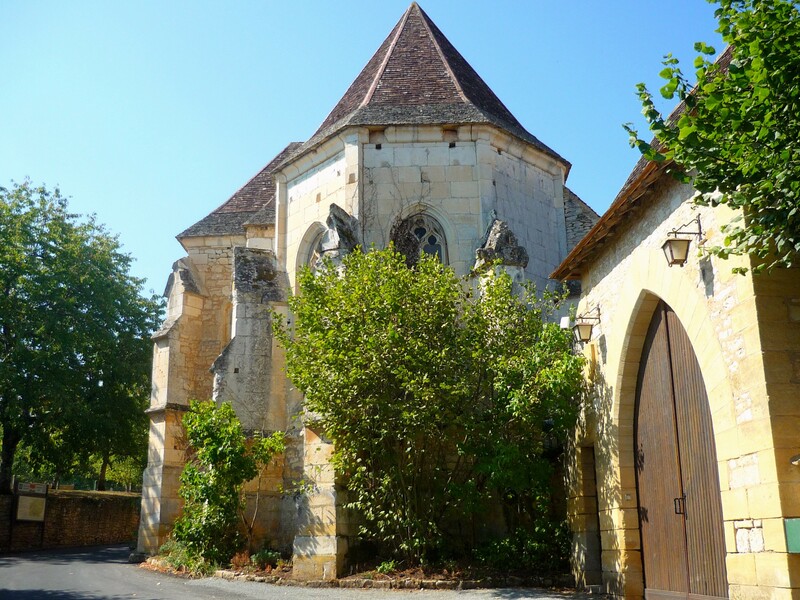 Les Milandes was listed as an historical monument by the French government in 1986. 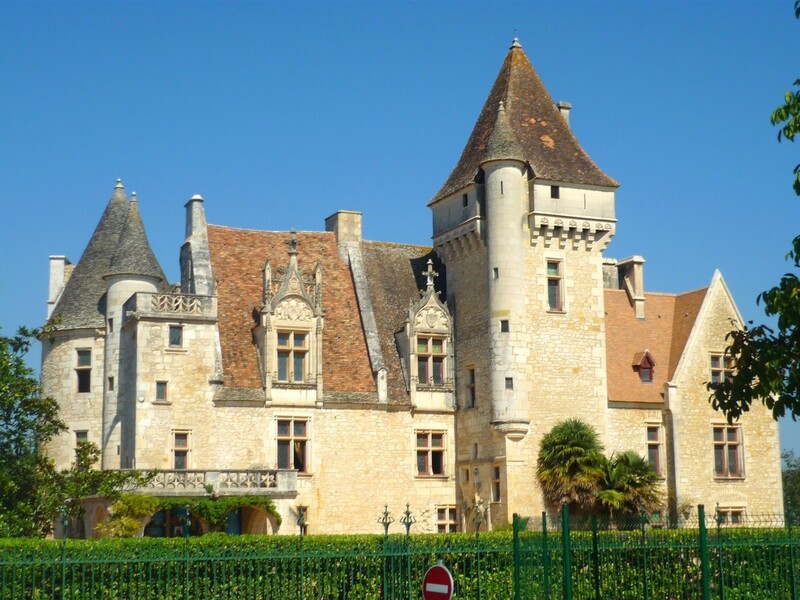 The castle was built in 1489 by François de Caumont, lord of Castelnaud at the request of his wife, Claude de Cardaillac who wished to live in a more comfortable – not to say, more prestigious – dwelling than the feudal castle of Castelnaud. He retained various architectural elements from the Middle-Ages, including turrets, newel staircases, and gargoyles. From the Revolution throughout the entire 19th century, the castle was inhabited, though was barely maintained, before it suffered a serious fire. From 1900 to 1908, a rich industrialist, Charles de Claverie, considerably restored the castle in neo-Gothic style with new towers with mullioned windows, stained-glass windows, gargoyles, chimeras, balconies and the laying out of formal gardens, adding to the charm of the Renaissance building. Les Milandes hosts an exhibition illustrating the career of the black American entertainer, known for her dance in a banana skirt at the Folies Bergères in Paris in 1928. Josephine Baker (1906-1975) purchased Les Milandes in 1947 to welcome her “rainbow tribe”, made up of many orphan children of all races that she had adopted. Many of her mythical objects are displayed: undisclosed documents and stage costumes, including the famous banana belt! Josephine Baker transformed the interior of the castle, adding all the contemporary comforts: central heating, running water and electricity. She arranged for a huge kitchen to be constructed with enormous stoves and one of the first American-style fridges to be introduced in that part of France! She also commissioned the creation of six art-deco bathrooms, two of them decorated with the colours of her favourite perfumes. The whole estate was transformed into a leisure park, inaugurated in 1949, with a mini-golf course, a large swimming pool, a restaurant and a theatre. However, Baker’s massive expenses led her into bankruptcy and the castle was sold in 1968 for a tenth of its value. Four different owners succeeded Josephine Baker at Les Milandes. Since 2001, Henri and Claude de Labarre have been the owners of the château. 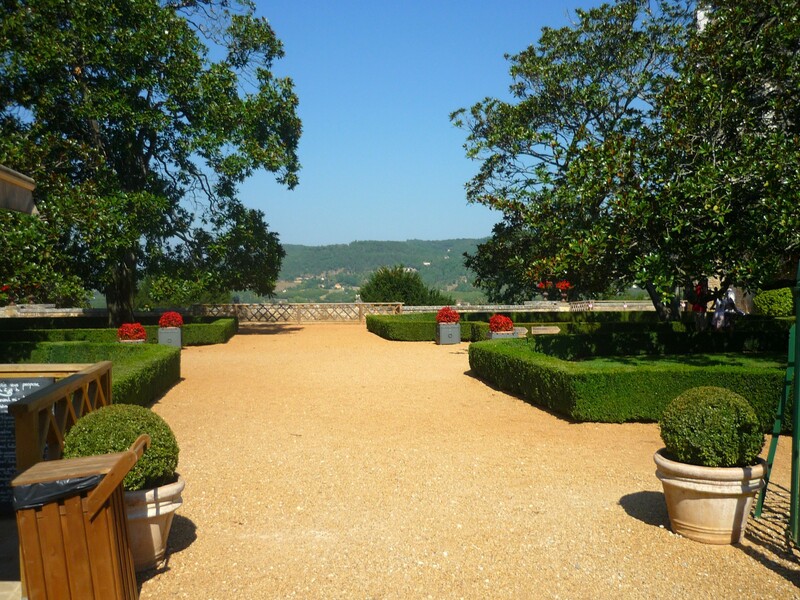 The gardens of the chateau are also worth a visit, to observe the variety of beautiful tree species: centenary magnolia trees, a Lebanon cedar, a hackberry, cork oaks, and umbrella pines. Laid out by Charles Claverie, who commissioned Parisian garden architect Jules Vacherot, the seven hectare park is punctuated with romantic balustrades and magnificent chimeras. In the 2000’s, new restoration work enhanced the gardens once again, with the plantation of box-trees and more flowers which improved the structure of the park’s terraces. It is possible to watch a surprising 30-minute show, with buzzards, hawks, American fish eagles and owls, which is supposed to inform about the use of these birds of prey by feudal lords in the Middle-Ages.